Crosspoint’s Stage is a 900 sqft. 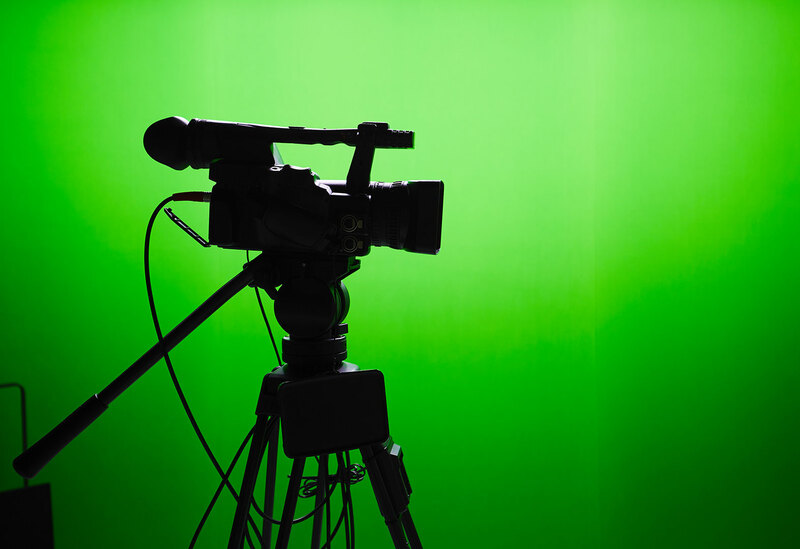 state-of-the-art green screen studio perfect for small to medium size video and commercial productions. This comfortable, clean and private sound stage provides all the required grip equipment and amenities for your video production needs. With over 30 years of commercial video production experience, our staff is available to help as much or as little as you require. We can help you crew up for your video production, help provide talent options, producers, and even directors if your video production project calls for it. Our green screen stage comes with a full green room with makeup area, live feed to the stage, wifi, and a craft services area with a sink and refrigerator. And for an additional fee we can offer you choices in camera packages, teleprompter and we even have a Grip truck available for use for your production. C-stands, sandbags, flags, cables and other equipment is included. Want to learn more about our renting our sound stage, give us a call today or fill out a contact form. © 2017 Crosspoint. All Rights reserved.